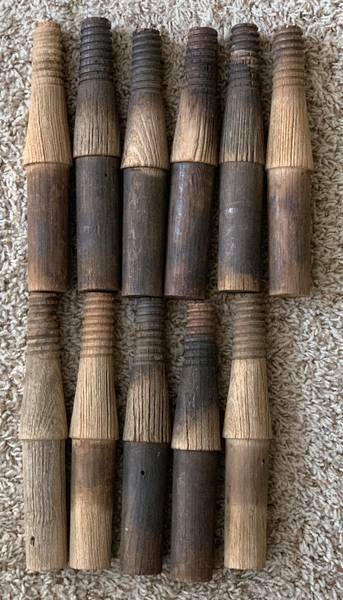 Lot of 11 9" wood pins in very good used condition. These appear to be for electrical line insulators as they have a larger diameter shank at 1 5/16". The threaded end is still the standard 1" diameter.